There are few things just as sweet in adulthood as they are in childhood, but the first real day of summer is one of them. With the sun warming your shoulders and the anticipation of hiking trails, BBQs, and fireworks on the horizon, it doesn’t get much better than this. When you add in Canada Day celebrations and parades, well, life really is sweet. To truly experience a relaxing getaway this July, we’re presenting the top small towns to visit during the holiday. 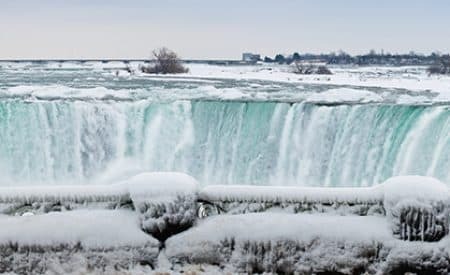 Some of these spots have special events lined up for the nation’s 150th anniversary, some are only a few minutes or hours from larger cities with 150th celebrations, and some offer summertime experiences you can’t get anywhere else. Without further ado, here are the best small towns in Canada to experience the country’s birthday. Located at the foothills of the Rocky Mountains, the evergreen trees and wood statues of Chetwynd stand out against a postcard blue sky. It feels fresh, new, and clean—the perfect place to cheers to a new year. As you’re walking around, do you spy all those intricately carved statues around town? The International Chainsaw Carving Championship takes place in Chetwynd every summer. Keep your eyes open for roughly 120 (and counting) carvings around town. 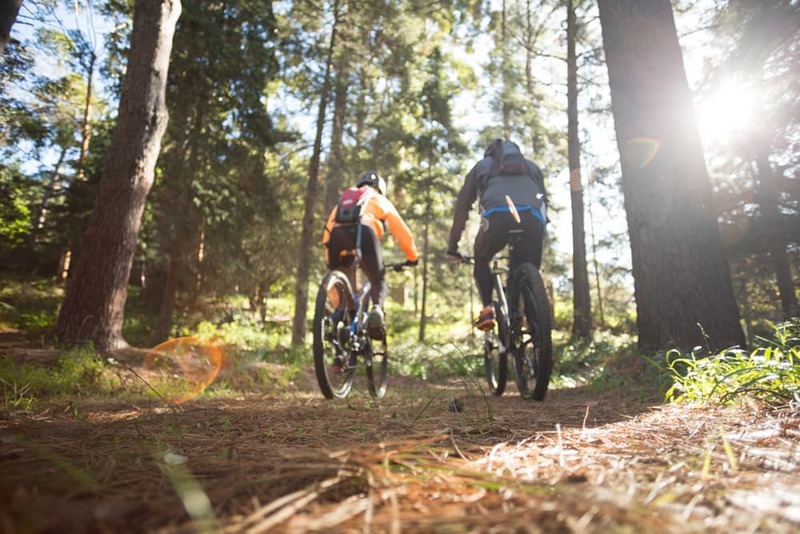 Other great things to do around town include: Going for a bike ride along Deer Point Trail (.2 km) or Connector Trail (12 km), grabbing some grub and meeting the locals at the popular Red Lion Restaurant, and getting to know town’s history at Little Prairie Heritage Museum. For an ocean-blue seaside town, there’s a healthy dose of reds that pop out against the cool landscape. Red roofs, red railings, red chairs…it’s enough of a jolt to remind you that, while it may be a small seaside town, it’s anything but sleepy. While you’re here, check out the Museum of Northern BC to see artifacts from the fur trading era. 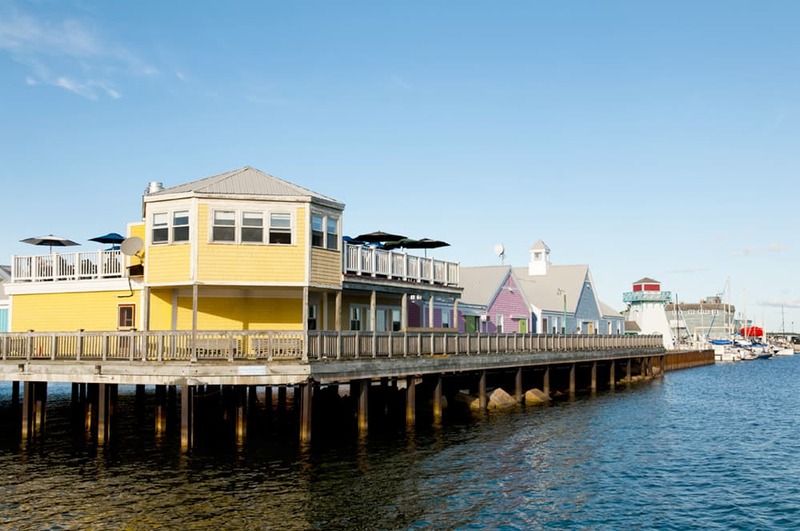 Grab a drink at 30-years-and-running Breakers Pub along the water, or test the hops at Wheelhouse Brewing Company. Learn about the town’s history at the North Pacific Cannery Historic Site, which honours the longest operated cannery in the country. And be sure to grab a bite at Rodhos Pizza, a local favourite for over 20 years. Open spaces, friendly people, and the kind of place that truly welcomes families of all shapes and sizes. We’re talking about Beaumont, Alberta. For Canada Day, it’s celebrating the 150th anniversary with bouncy houses, live entertainment, food trucks, a family dance, and a fireworks show. While you’re in town, take home a piece of art from The Painted Door on Main, which features a troupe of artists and creators. And remember to stretch your legs on the trail system that runs over 22 km through town, including around Don Sparrow Lake. You can usually hear Camrose before you see it, as it plays host to major events like Big Valley Jamboree. 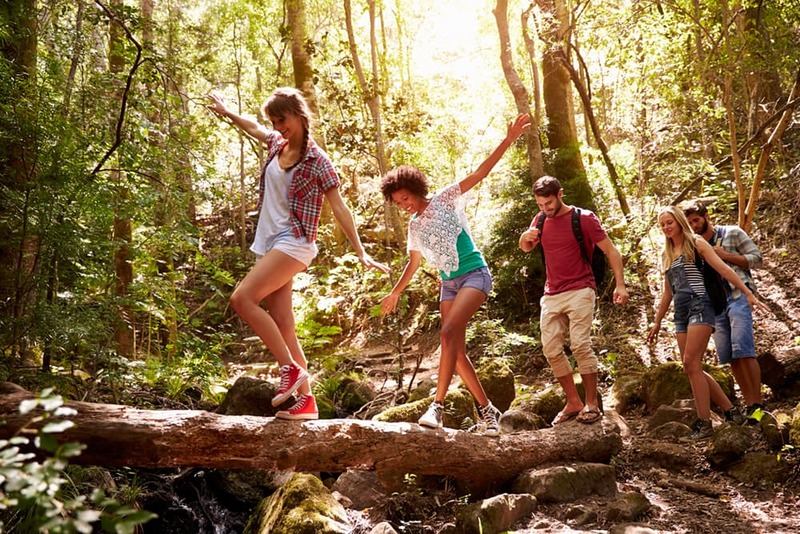 With its location in the heart of Alberta, you can enjoy all the perks of a town, while never being too far from hiking trails and scenic parks. You’ll want to make your way to Rudy Swanson Recreation Park during Canada Day, where the 150th anniversary will be celebrated with festivities starting at 9:30am, and concluding with a fireworks production at dusk. Aside from the 150th party, you’ll want to catch a performance at Bailey Theatre, and see pieces of history like replicas of a 1906 school and 1898 pioneer log house at the Camrose and District Centennial Museum, which is celebrating its 50th birthday in 2017. Stuck in the middle with you is what Sylvan Lake counts on. With Calgary roughly 150 km to the south and Edmonton roughly 150 km to the north, the shoreline town of Sylvan Lake provides a healthy escape from big city life on your getaway. Breathe in that fresh air when you go for a stroll in Sylvan Lake Provincial Park. Race the kids and make new memories at Lakeside Go Karts. 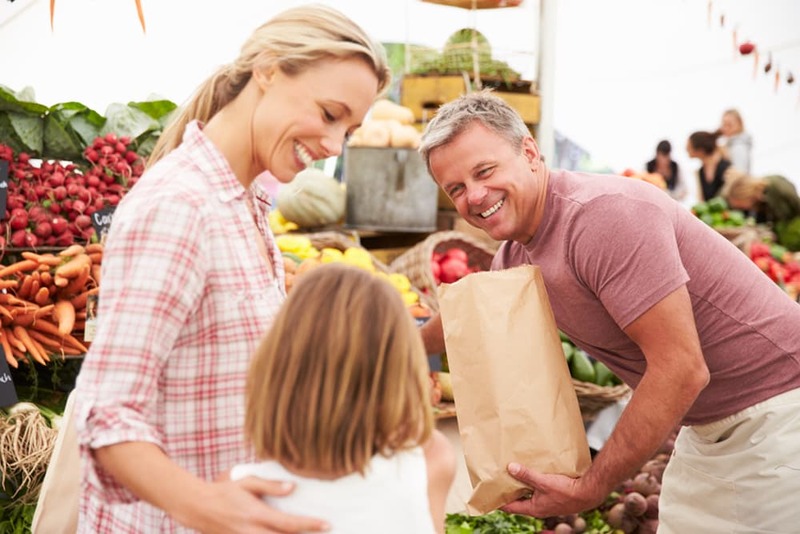 Take a bite out of life at the Sylvan Lake Farmers Market. And when you feel the summer heat beating down, cool off at Sylvan Lake Aqua Splash. Located on a hilltop overlooking the Muskoka River, Bracebridge is a charming town, with red bricked buildings, old-fashioned street lights, and a sense of wild nature just around the edges. For Canada Day, make your way to Bracebridge Bay, where Rotary Fireworks will paint the sky blues, greens, purples, and yellows in honour of the 150th anniversary. Now, despite it being the peak of summer, it doesn’t mean you can’t look forward to Christmas already. Stop into Santa’s Village (which opens for the season on July 1st), where you can eat lunch with Santa and ride mini rollercoasters and trains. 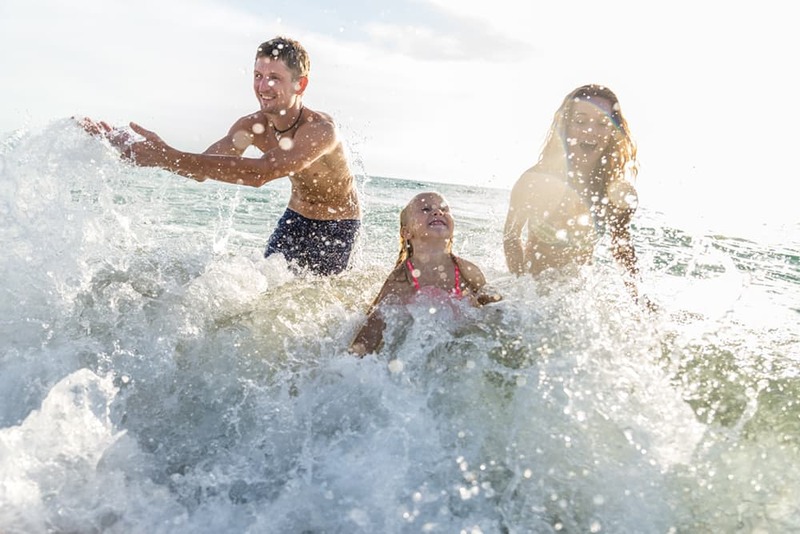 Other top attractions of town include splashing around at Kirby’s Beach, making your own candle souvenirs at Rich Hill Candles, and putting away at Northern Escapades Mini Golf. As the birthplace of hockey great Tim Horton and the home of the renowned Polar Bear Habitat, it doesn’t get more Canadian than the small town of Cochrane. 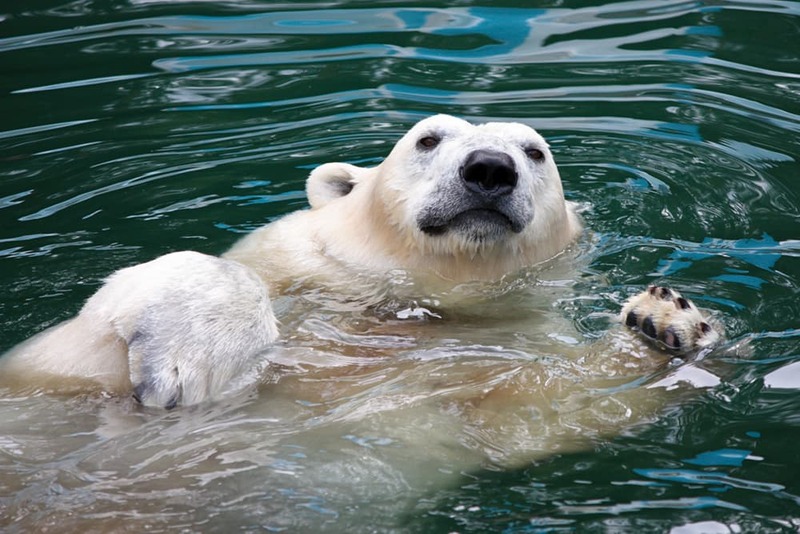 Beat the summer heat when you visit the magnificent creatures at the Polar Bear Habitat, or pop into Heritage Village to scout for antique treasures. Stay tuned for what Cochrane has in store for 150th. Last year, the town celebrated with a Round the Lake Swim, face painting, sand castle building contest, beach volleyball, and fireworks. For Canada Day, get in touch with a sense of the past when you visit The Pas. It’s one of the oldest settlements in northern Manitoba, when it was incorporated in 1912. Not only is it historic, with its location only 20 km from Clearwater Lake—which as the name suggests has crystal clear water—the landscape is overwhelmingly lovely as well. Learn more about the town and see eccentric memorabilia when you visit the Sam Waller Museum, and be sure to catch a film at one of the longest running movie theatres in North America when you visit Lido Theatre. With a mix of local pride, a calendar full of festivals and events, and a ton of charm, you don’t want to miss a stop into Port Hope, Ontario. The town is celebrating the 150th anniversary with a parade, followed by celebrations at Memorial Park. This will include classic cars and antique machinery on display, along with food vendors, enough birthday cake to feed the town, live music, kid-friendly activities, and fireworks on the beach. While you’re in the city, see works of beauty at the Art Gallery of Northumberland. Check out local artifacts at the Dorothy House Museum. Find treasures for your home when you pop into the several antique shops downtown. And learn more about the brave men and women who’ve served in the fire department at the Canadian Fire Fighters Museum. There are some traditions that simply must be passed down in person. Casting your line and capturing a whopper of a fish is one of those rites of passage. And there’s no better place to do it than the town of Nipawin, Saskatchewan. Located a short drive to Tobin Lake, this place is all about long summer afternoons along the water’s edge, waiting for walleye and pike fish to bite on the line. This July is shaping up to be an even bigger draw with Canada Day celebrations. Nipawin Museum is the focal point of the day, with a flag raising, silent auction, food booths, and freshly baked bread in the antique clay ovens. 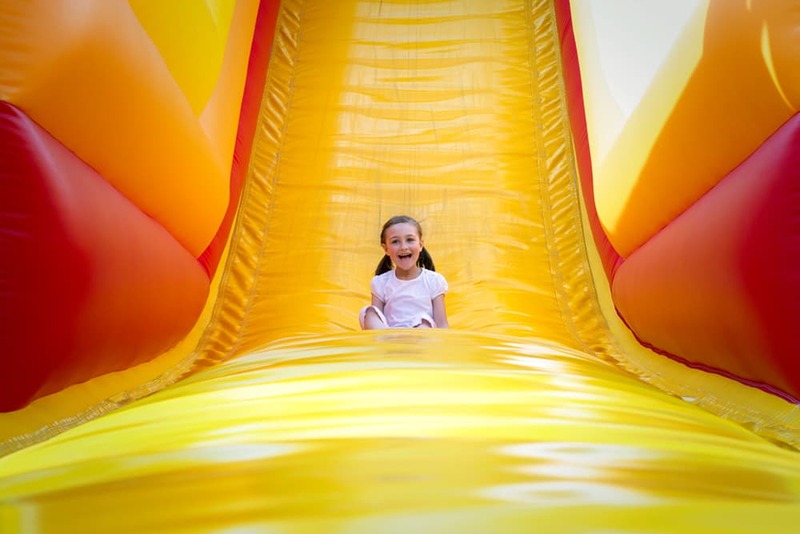 You can also look forward to a bouncy castle and climbing wall for the kiddos, live music, and free birthday cake to honour the country’s big day. Some cities are about seeing what life was like at the turn of the century. Riverview is about experiencing the past up close. This includes a visit to Kings Landing Historical Settlement, where you’ll actually saw wood among other vintage tasks. While you’re in town, go for a hike along Dobson Trail, and get that perfect hole-in-one at Moncton Golf & Country Club. You might not see the Grateful Dead in Woodstock, New Brunswick, but you will see plenty of happy faces in this friendly town. Located on the banks of the St. Johns River and Meduxnekeag River, this quaint area offers a little haven from the hustle and bustle. Not only is this a cozy town, it’s also one of New Brunswick’s oldest, as it was the first official town of the province in 1856. While you’re enjoying your summer getaway, find some fresh produce and homemade crafts at Woodstock Farm & Craft Market or see some local art at Creek Village Gallery & Café. With scenic waters and a red-roofed lighthouse, the town of Souris offers a quiet summer getaway for the family. Get a taste of coastal living when you visit 21 Breakwater Restaurant and munch on freshly caught seafood. Bring out your irons when you putt at Rollo Bay Greens. Feel the sand between your toes when you walk along Singing Sands beach. And take a picture in front of Souris Lighthouse to make all your friends back home jealous. 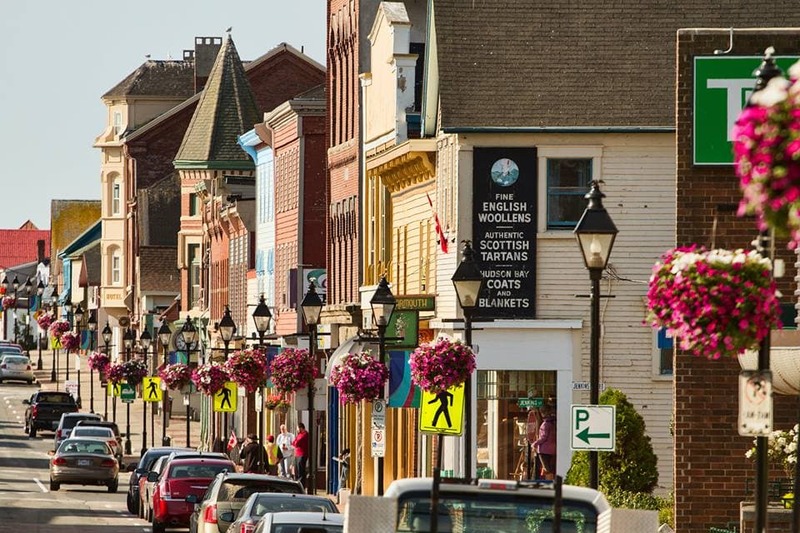 With its 200-year-old history, is it really a surprise that St. Andrews made it onto our 9 Charming Historic Towns list? Yes, this quaint seaside refuge is known as a perfect summer destination when you want to kayak on the waves and hit the golf green. 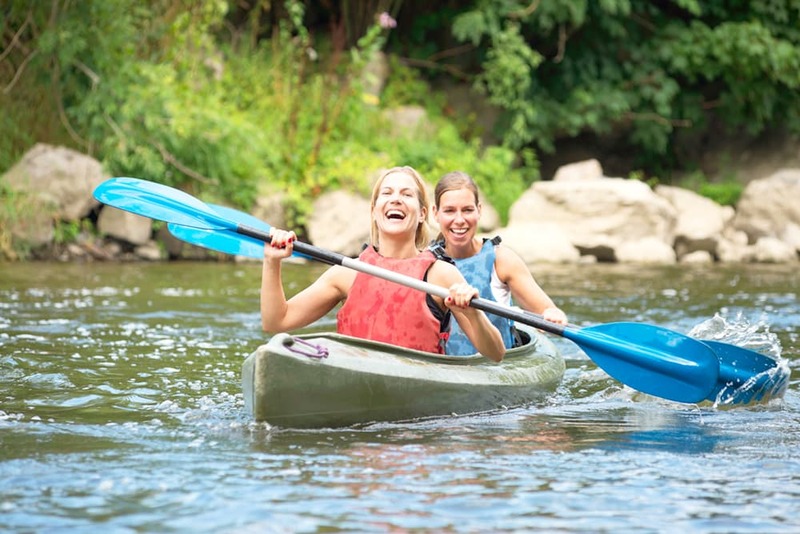 While you’re here, sign up for a kayaking tour with St. Andrews by the Sea Adventure Center or go on a whale watching cruise with Jolly Breeze of St. Andrews. And don’t forget to see local seals Loki and Snorkel up close when you visit the Fundy Discovery Aquarium. It’s the second largest city on Prince Edward Island, and has those filter-free backgrounds you crave on Instagram. We’re talking about Summerside, which is home to a salt-splashed lighthouse, lively boardwalk, and splatter of jagged forest trees. If it’s a summer getaway you’re looking for, this place has the goods. Lace up your shoes and walk along Confederation Trail. Don’t worry; the gradient never goes up more than two percent. Learn more about the town’s history at the five Wyatt Heritage Properties historical sites. This includes the Lefurgey Cultural Centre, Bishop’s Machine Shop Museum & Historic Site, MacNaught History Centre and Archives, the International Fox Museum and Hall of Fame, and Wyatt Historic House Museum. And once it’s time to eat, make sure you indulge in fresh oysters and mussels at local favourite OpenEats. Nestled between French-speaking Arcadie and English-speaking port towns, Yarmouth is the talk of the town. It’s home to the biggest fishing fleet in the country and offers charming views of wind-whipped buildings next to crashing waves. Get to know the town with an interactive tour at the Firefighters’ Museum of Nova Scotia, where you’ll sit in a 1933 Chev Bickle pumper. See the city from beyond the oar when you sign up for a Song of the Paddle tour. And learn more about local history by checking out over 20,000 artifacts at the Yarmouth County Museum and Archives. Fun fact: The museum has the third largest ship portrait collection in the country. With one foot in the past and one foot on its way to a late-night party, Dawson City is unlike anywhere else. It’s an old mining town, but it has a sense of humour and dash of whimsy. 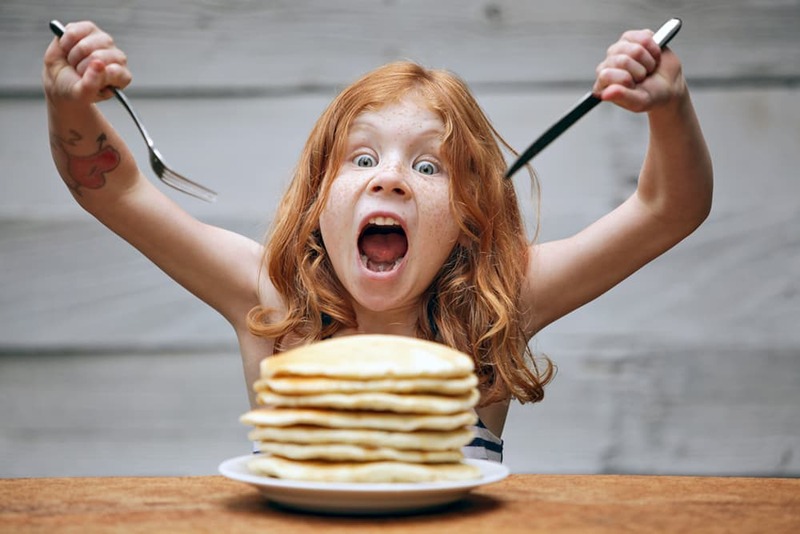 The city is getting into the spirit of Canada Day by offering a pancake breakfast to start the day followed by a parade, live music, and free activities that will last throughout the year. Last year’s festivities included a flag-raising ceremony, gold panning contest, bike rodeo, and country picnic, so you can count on a good time. While you’re in town, see relics from the Gold Rush at the Dawson City Museum, and don’t miss the spirit of the wild at the Jack London Museum. Out in the wild, Watson Lake was put on the map when the Alaska Highway put down its pavement in 1942. Today, the naked beauty hasn’t changed, and if you want to really get away from it all, a Canada Day trip to this Yukon town offers the refuge you seek. The most famous attribute of Watson Lake is a rite of passage: the Sign Post Forest. Locals and travellers alike nail up small signs of their choosing—resulting in a mural comprising over 72,000 signs and counting. While you’re in town, see the Northern Lights but skip the winter snow. Stop into the Northern Lights Space and Science Centre, which features “Yukon’s Northern Lights” projected on the centre’s domed screen every summer. You’ll also want to cast off into Watson Lake, which has lake trout, northern pike, bull trout, rainbow trout, artic greyling, and kokanee salmon. In case you haven’t heard, Goderich, Ontario, is often ranked as one of the prettiest Canadian small towns. See what all the fuss is about when you look at its beauty from the seat of a bike or from the edge of a beach towel. 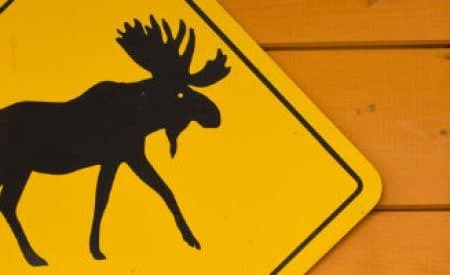 For Canada Day, the city is going all out with their fireworks display on the beach on June 30th, then following that with a community picnic and parade on July 1st. While you’re here, splash in the waves when you take a dip at the popular Cove Beach. Learn more about the city’s pride when stopping into Huron County Museum—a lifelong passion project by local hero Mr. Joseph Herbert Neill. And if you like your history with a dash of spooky, visit the Historic Gaol, an octagon-shape building that contained the former county jail. With pine-fresh air in your lungs and a yoga mat beneath your feet, your time in Canmore will breathe new life into the season. Sip up vitamins and sweet flavours with a stop at Mountain Juice Cafe, or grab a pint from the Grizzly Paw Pub & Brewing Company, which also offers craft sodas if you brought the kids. And after you’ve spent time stretching in downward dog at places like Canmore Hot Yoga, hoist yourself on a steed with a horseback riding adventure via Boundary Ranch. We know a place far away from everyday cares, where you can feel like you’re on your own island–perhaps because it is an island. We’re talking about Bowen Island, British Columbia, a tree-sprinkled patch of beauty on the waters of Howe Sound. Bowen Island is planning its upcoming Canada Day festival. 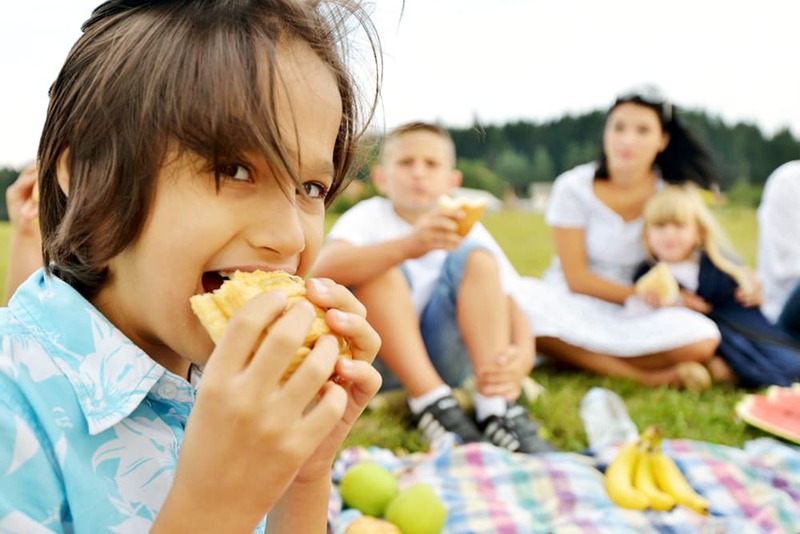 Last year included a family picnic, live music, and face painting, so you can count on a perfect afternoon with the kiddos. While you’re in town, spend time at the marina at Snug Cove. Get those paddles ready for action when you sign up for a kayak tour with Bowen Island Kayaking. And see the island from a scooter when you rent a sweet ride from Zoom Zoom Bowen. Every holiday is better with wine! This July, you won’t want to skip a visit to Oliver, British Columbia, the “Wine Capital of Canada”. Enjoy tastings at wineries like Hester Creek, Tinhorn Creek, and Burrowing Owl Estate Winery. When you’re ready to walk it off, go for a hike among the cottonwoods at Inkaneep Provincial Park. And if you’re more of a history buff, learn about the town’s history—and walk through the old-time jail—when you visit the Oliver Museum. 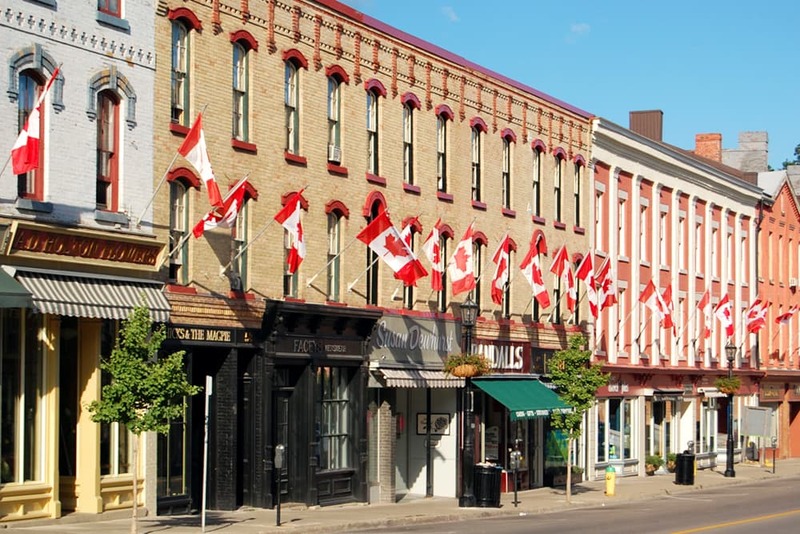 Resting on the banks of the Mississippi River, Almonte is a true blue Canadian town that maintains a 19th century downtown style, with plenty of modern attractions. Almonte’s Canada Day celebrations are family affairs, with live music, family BBQ, and fireworks at Gemmill Park. While you’re in town, find new treasures at Tin Barn Market or Nine Lives Antiques (Mill Street as a whole is home to a wealth of antique shops). You’ll also want to make a stop into Mill Street Books, which has an excellent supply of children’s stories. And when your tummy starts to rumble, split a platter of calamari and Italian dishes at the popular Cafe Postino. Sitting on the tip of Hastings County at the south end of Algonquin Park, Bancroft is a tranquil, welcoming, and perfect small town for a summer getaway. For Canada Day, the town is gathering together at York River Millennium Park for a raucous fireworks show taking place at dusk. While you’re in town, take in the quiet atmosphere as you hike, swim, or kayak at Silent Lake Provincial Park. Learn more about Bancroft’s glittering past when you step into the Mineral Museum. And admire the talent of local artists when you see a performance at the Village Playhouse. We can’t talk about Canada Day getaways without mentioning the luminescent Stanstead, Quebec. Wander through the charming town, which is filled with pops of colour from blooming flowers against pale brick architecture. Catch a show (and learn some things while you’re here) when you stop into Haskell Free Library and Opera House. Walk through the intriguing and wondrous Stanstead Stone Circle, which takes its inspiration from Stonehenge. 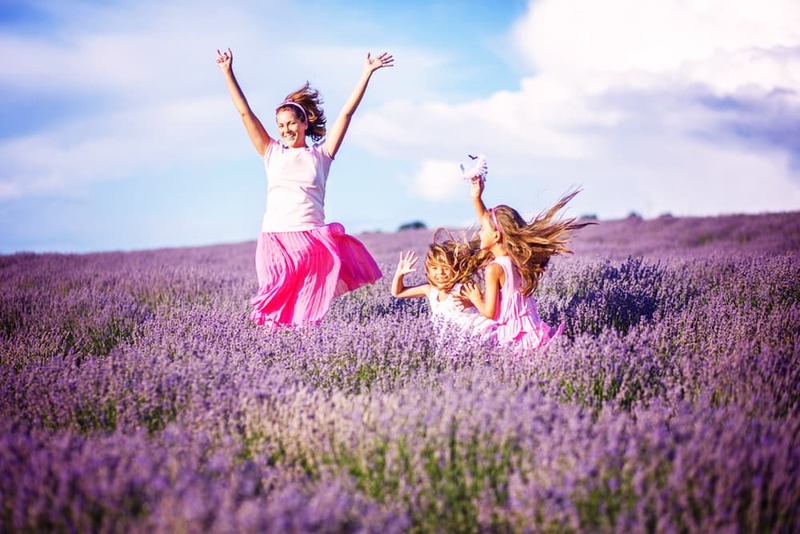 And finally, head north to Bleu Lavande, one of the largest lavender gardens in North America. July is peak lavender season, so don’t miss a tour through the sweet-scented fields. This July, get out in the sunshine and revel in the celebrations. Sure, you can try to grab a spot in Ottawa where all the ginormous fireworks are blasting off. 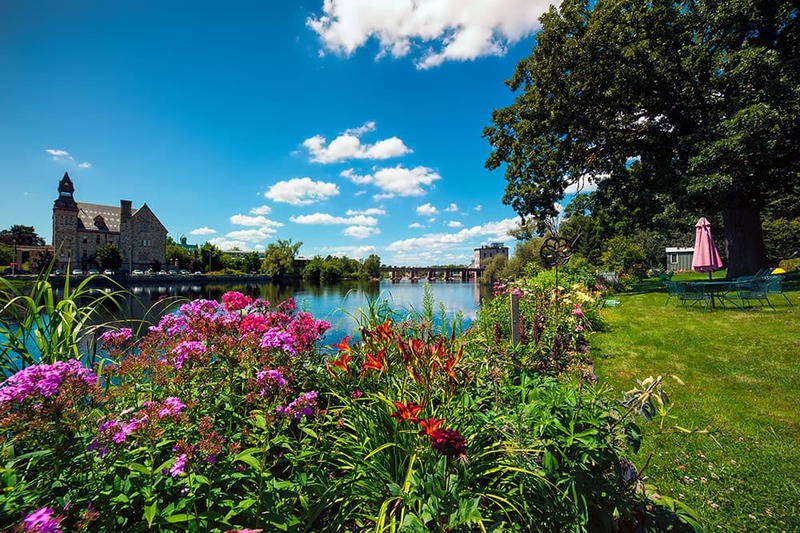 But with rolling greens, lakeside blues, and even a few slices of colourful birthday cake for the 150th, these picks for Canada’s best small towns are truly perfect for a summer getaway. Great choices! Thanks for picking some out of the way places like our community of The Pas Manitoba. See you all in July …or any other time!! Great to see so many awesome small towns! Just a note: the buildings at the Camrose and District Centennial Museum are not replicas! They are the real deal! Riverview, NB is a nice town but isn’t near Kings Landing which is located quite a drive away. Kings Landing is a great historical site to visit and would make a wonderful day trip by its self.